I’m stumped. The sun is setting over the lush, mountainous landscape, which I’ll soon be travelling through overnight on a scooter I rented five hours ago in Kathmandu, Nepal. I’ve just pulled off the pothole-ridden road in search of dinner, but instead I’m immediately confronted by a local store owner with the same question that has come to my mind many times since my arrival in Asia: What am I doing here? 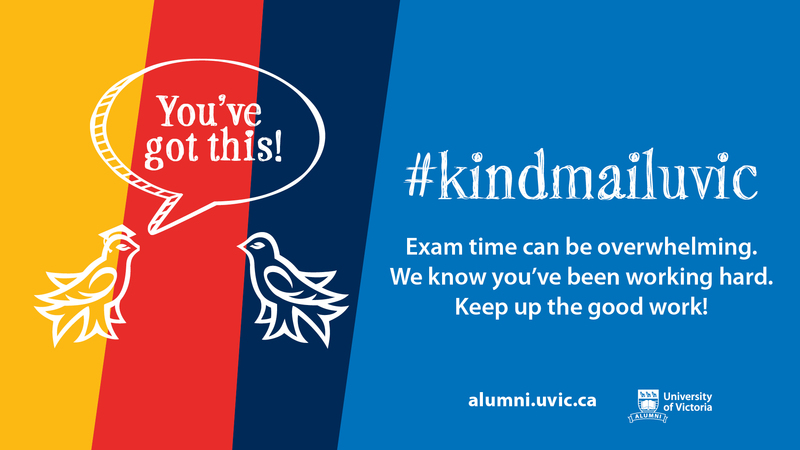 Perhaps first year has left you shell shocked, or you’re hitting the halfway-degree wall, or maybe your time at UVic is finally nearing an end and you’re somehow still being disarmed by the question of what you’d like to do in the wake of your studies. 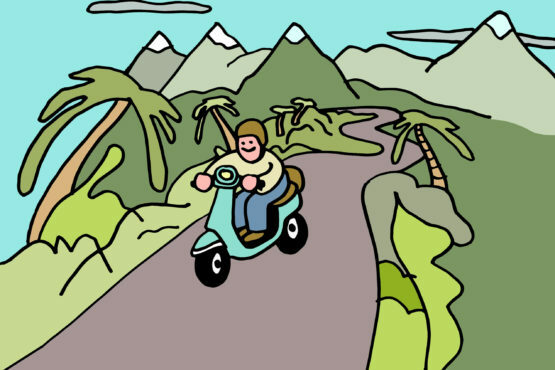 Many students drift towards the idea of leaving the comfort of serene Vancouver Island to travel for a multitude of interests: historical, cultural, geographical, biological, and linguistic — among others. The most common reason that I’ve heard from fellow backpackers, though, is that they’re searching for an answer to some existential question. This feeling is common. But is hurling yourself into the culture of a foreign country really the best method for finding purpose? If meaning is what you’re after, does it really follow to fulfill an internal desire by stimulating your external senses with foreign sensations? Does being surrounded by beautiful sights, tastes, and smells even matter if you’re still a neurological mess without a stable direction? The answer lies in how the brain undergoes change. Cut down your dinosaur juice consumption by avoiding airplanes when possible. Your brain is constantly collecting and processing sensory information from the external environment, altering the structure of your neurological network. This incessant restructuring, transferring, strengthening, and attenuating of brain cell connections is called neuroplasticity, and it determines how dreams, desires, skills, and behaviours change day to day. From every encounter with a friend to every failure, stressful deadlines to loving moments, the brain is updating its wetware to effectively meet its long-term goals and short-term desires. Put simply, neurological change is the product of external stimuli and internal processing of said stimuli; find new external stimuli (e.g. travel), and your internal perceptions of the world are sure to change in response. So what does this mean in relation to travelling to a strange land? Where are you from? What do you do back home? Why are you here? Although people commonly express fatigue when answering this trio of trite traveller questions, there is still an important takeaway from such a customary exchange of information: by recapitulating your personal spiel over and over, you are constantly reinventing yourself in the eyes of strangers. As you hone your phrasing with each blank slate encounter, you begin to discover what description of yourself you find most attractive, most inspiring, the dullest, most tempting to hide, or which is worth pursuing further. In truth, the socially forced, banal self-reflection can actually be a gateway to greater self-awareness. Another topic you may be ruminating over is whether travelling through developing countries produces a positive or negative impact on the local environment. At a quick glance, it seems like all you’re doing is importing money into the region. But what does an influx of tourism really do to an area? Avoid activities and products that support animal suffering—human or otherwise. With hundreds of billions of dollars spent globally by tourists each year, governments and private tourism organizations are putting a lot of energy into attracting travellers to their little corner of the Earth. In addition to backpacks and hand sanitizer, travellers also tend to carry many expectations regarding what a certain country is like and how its inhabitants behave — now more than ever, guided by social media platforms such as Facebook and Instagram. The romantic fantasy of seeing local rituals and non-globalized lifestyles is commonly capitalized on by tourist agencies and corporations. This results in the mass production of clothing made primarily for tourists, forced airport dances, cruelty-fueled elephant rides, and imprisoned cobra charming — among other tasteless tourist traps.The presence of travellers often transforms the economy from being locally-focused to tourist-oriented, changing the very culture we initially came to see. When a region becomes too popular for small, locally-run businesses to meet the growing demands of tourism, it’s standard for big corporations to sweep in and build large hostels, hotels, resorts, and stores. Many local business owners who have spent much of their life running their small, family-owned store are then forced to shut down and, if they’re lucky, get a job with the bigger businesses — who successfully syphon the majority of the profits to foreign multi-millionaires. However, this isn’t how it has to go. Like any service industry, the customer has immense power by voting with their dollar and spreading awareness to other consumers. Reducing the negative impacts of the traveller’s lifestyle really doesn’t require much effort. A bit of research into the effects of tourism in certain countries and keeping an eye out for injustice can go a long way. Cut down your dinosaur juice consumption by avoiding airplanes when possible. When traversing transcontinental terrain, trains and busses pollute less, save you money, and offer a more interesting, adventure-filled experience. Likewise, for intercontinental journeys it may be worth looking into being a passenger on a cargo ship. Eat, sleep, and shop in locally-run establishments. Keeping the local population involved in the financial boost that tourism brings is a great way to support a healthy relationship between foreigners and locals. Unfortunately, though understandably, resentment can develop when someone’s town becomes swamped with travellers who dump their money into the pockets of big business outsiders and provide no visible benefit to their community. If you decide to go on a tour, ask about or research the organization to see how they help protect or support the ecosystem and/or cultural heritage that they profit from. Do they hire local guides? There are usually a multitude of touring outfitters to choose from, so if you can’t get a clear response, move on to the next one. Volunteer or work overseas. If you truly wish to make a positive impact through this method, you’ll need to be prepared to sift through the numerous organizations that are more geared towards making the developed world’s youth feel like they’re helping the world, rather than actually aiding the target region. Any style of living is bound to inadvertently impede someone or something’s efforts to improve their own well-being (wisely-directed life choices only reduce this obstruction, which is why, of course, they still matter immensely). The traveller’s lifestyle is no exception, and some downsides simply have to be accepted and justified by the mound of positives created through the mingling of different people. Breaking the regular cycle of your life through travel can help you become aware of what a diverse world there is out there. Turning this fresh perspective back to your home life, you might discover how strange and arbitrarily rhythmic it looks. You find that there are some features you care about dearly, and yet you previously missed the opportunities to take advantage of them or to show your appreciation for them. In contrast, other things that you’ve poured a considerable amount of time and energy into seem to not hold an appropriate amount of significance in your life to justify such efforts. It’s simple: when removed from your normal environment and your daily routine, you will notice which aspects you miss and which you feel alleviated from. This is a wonderfully effective way to discover what truly matters to you, and how you might want to restructure your life upon returning home. Your biology was crafted on this planet over the last 3.8 billion years. Learning about your birthplace (Earth) and the global fleet of hominid relatives who are living out such a wide variety of lifestyles on this planet is beneficial for not only your own personal development, but also for the betterment of others. The norms that you’ve been marinating your life in are almost certainly not of the same flavour that the majority of humans are immersed in. By sharing your stories and listening to those of others, a face-to-face exchange of how we can exist and co-exist in this world unfolds. These exchanges catalyse new ideas and strengthen an understanding of universal human values, increasing global empathy and interconnectedness.